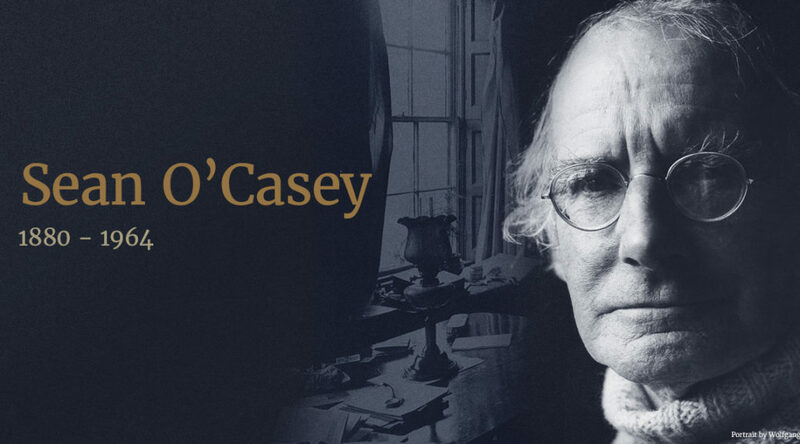 The Irish Repertory Theatre, in New York, are marking their 30th anniversary by holding a Sean O’Casey Season from 30th of January until the 25th of May. There are several events that make up the festival with the centerpiece being stagings of all three of Sean’s Dublin Trilogy in repertory. The very first play staged by the Irish Repertory Theatre was The Plough and the Stars, directed by Charlotte Moore and she is back to revisit the play as part of the festival. The festival will open with The Shadow of a Gunman, directed by Ciarán O’Reilly and also features Juno and the Paycock directed by Neil Pepe. The readings are free but spaces are limited. Apply to the Irish Repertory Theatre box office for invitations. There is also an exhibition of materials including scripts, correspondence and photographs at the New York Public Library for the Performing Arts, running 28th January until 23rd March. Also there will be a screening of Joseph Hardy’s 1972 film of The Shadow of a Gunman, featuring Frank Converse, Richard Dreyfuss, Jack MacGowran, and Sandra Morgan, on 21st and 22nd of February. For further information and to book tickets contact the Irish Repertory Theatre box office online or call 212-727-2737.